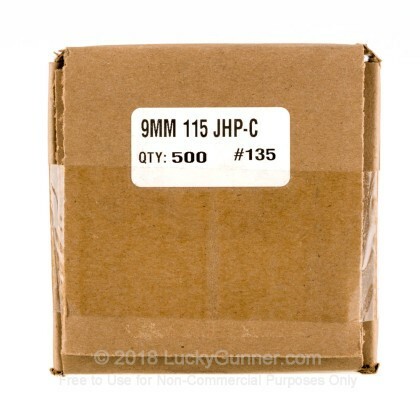 These premium 9mm 115 grain jacketed hollow point bullets are great for replicating legacy 9mm Luger loads like Federal Hi-Shok or experimenting with your own personal defense recipes. Zero Bullets got their excellent reputation from selling projectiles and loaded ammunition at gun shows during the mid-nineties, under the name Roze Distribution. Today, they continue their craft and are praised by many hand-loaders for their quality. 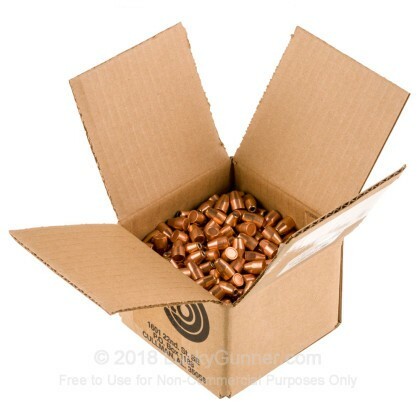 This package comes with five hundred .355 inch diameter jacketed hollow point bullets. Each projectile features a true copper jacket instead of a copper plated surface. Because of the harder jacket, these bullets can stand to be loaded on top of hotter powder charges and fly at faster speeds without breaking apart or destabilizing. 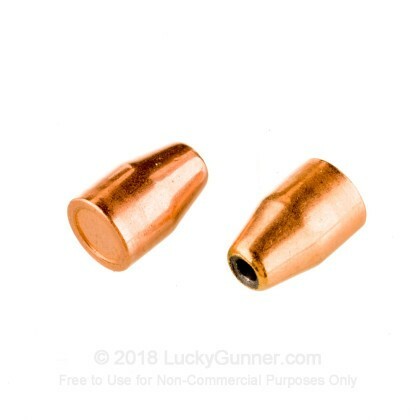 The hollow point cut on these bullets is high and bordered by the copper jacket in order to facilitate feeding in a wider range of firearms. These bullets are conically shaped with a straight sloping wall (or ogive) towards the bullet's top as opposed to a more curved one. My AR 9 loves these things. I was a little hesitant to get these because some of the hollow points I have tried would hang up in my AR 9. But these feed perfectly. I think I have only had a couple hang but it was the mag. Will be buying more for sure. Overall a well made bullet at a very affordable price. They appear to perform very similar to Hornady HAP bullets but at better price point. The base of the bullet is indented sort of like bullets that have a hollow base. Not sure of its purpose. My only nit with these bullets are the lack of serrations around the tip probably limiting a uniform expansion. Consequently they are well suited for target shooting but most likely not ideal for self defense use.